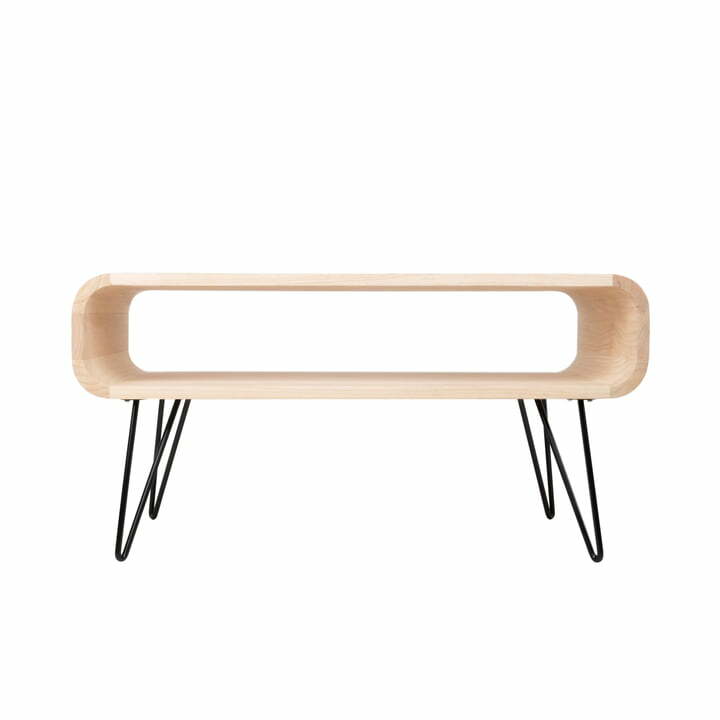 Distinctive design buy XLBoom: The Metro Coffee Table is a stylish table that is flexible - as a coffee table in the living room, as a side or console table or low lounge table in the waiting area. While the voluminous body of the Metro Coffee Table is inspired by design of the 50s and 60s, the four sleek metal legs provide a distinctive modern appearance. 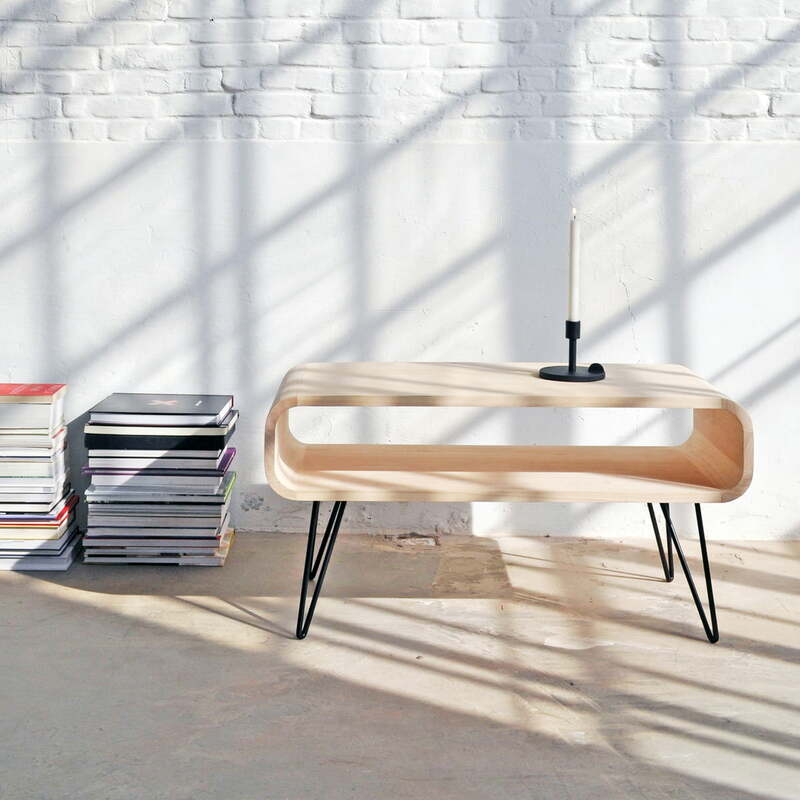 The tabletop offers not only a unique look, but also a rounded hollow body that provides internal storage space for magazines and books, snacks, games and small accessories. 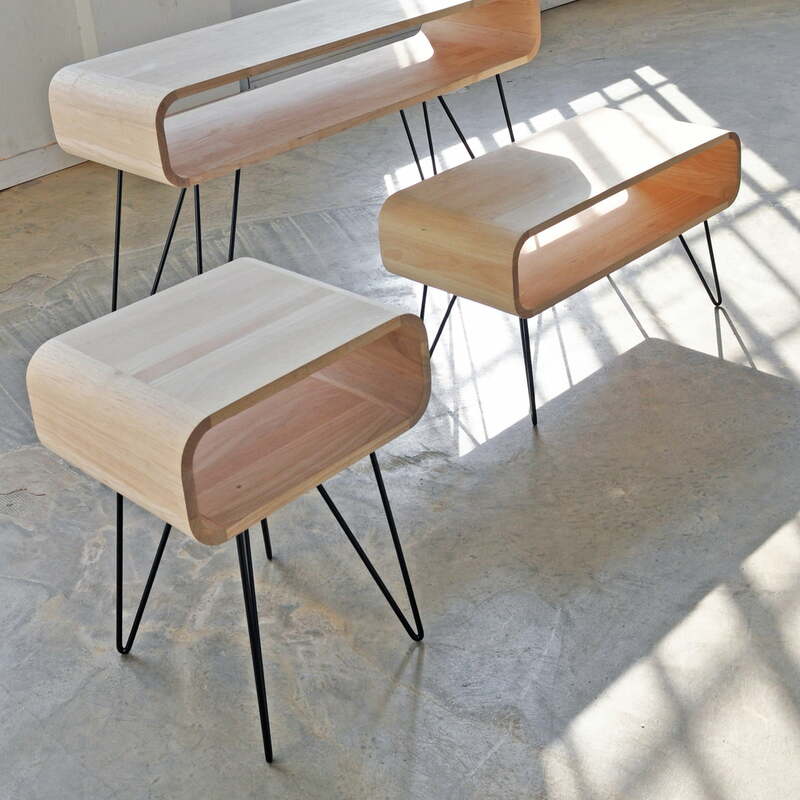 The body of the Metro Coffee Table by XLBoom consists of wood of the rubber tree, which is only cut after the tree has produced latex for over 20 years. A special property of this wood is its extreme hardness, which makes the XLBoom very robust, stable and insensitive to humidity fluctuations. XLBoom produces the Metro Coffee Table as part of the Metro Table Collection. This series also includes the small End Table and the larger Sofa Table.